Above all else, when searching for a good local solar business you’ll want a solar provider that can show that they will provide local support. If they can’t show they have a strong local network, how will they behave once they stop selling in your area? How committed is a solar business to you and your community? Have they done work in your area before? If not, they may not be set up to support you in the future. A good provider will have strong relationships with local solar electricians. Together they should have a long history of solar installations in your area. Beyond that, it helps to understand who you are dealing with. There are good and bad businesses in every form, so we’ve put together a quick guide to take you through some key thoughts about solar businesses in Australia. What are my choices when searching for a local solar business? Solar businesses with contractors. The business may not be local but the contractors are. None of these business types are any better or worse than another. The real difference comes with their work ethic or business culture. Good solar electricians are the strength of the solar industry in Australia. Good electricians are passionate about their trade. They are well equipped, incredibly knowledgeable and they take pride in their work. Because of limited time, sole traders can have varied success with sales and marketing processes. For that reason, they may supplement their private work with contract arrangements to larger solar businesses. The obvious advantage to a sole trade business is that they have lower costs. The potential down side for a consumer is that time allocation for support and follow up advice can be limited or non-existent. This is generally not intentional, however the pressure to attend to paid installations rather than unpaid follow up can be difficult to manage. There is overwhelming evidence of poor work from solar installers in Australia. Doing a google search of ‘bad solar – reviews/installations/business’ will reveal enough to keep you on your toes. Financially pressured installers will take jobs at a much cheaper rate just to get the work resulting in short-cut jobs. Expecting support from pressured installers is unrealistic. In fact, around 40% of solar businesses go out of business in the first 2 years. Many those businesses are sole traders who return to general electrical work. Good solar businesses value good solar electricians and pay them accordingly. A good solar business creates savings to the solar electrician by focusing on sales, admin & support processes. This allows the electrician to stay busy installing solar and allows the solar business to focus on winning and supporting clients. Even if the solar business is on the other side of Australia, their systems will ensure you have local support. The critical thing to know is if they have a long term local partner. A solar business that’s heavily focused on sales and shows little evidence of support should be avoided. But how do you know what to look for? Do an ABN search for all businesses you are getting quotes from. If they have only been in operation for less than 2 years, it’s probably best to avoid. If they operate out of a house or a serviced office, that’s another warning sign. If they share an ABN with several other non-related businesses, that can also be a red flag. 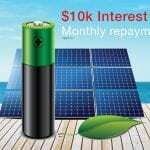 A typical $5,000 -$7,000 solar system can be sold for $3,500 to $15,000 depending on the sales pitch. Too low and you’ve increased the risk of failure. Too high and you’ve just bought the sales guy a new overseas holiday. There are a lot of similarities to solar businesses with contracted electricians. Sales, admin and support will be handled professionally and the installation team will be familiar with internal process creating good communication flow. Because electricians are employed, there can be good cost savings to the business. The balancing act is managing staff costs during quite times. A good business focuses on a strong local presence and a marketing effort to support it. Solar contractors may be engaged to manage overflow work or to help with expansion. Poor management or lack of experience can cause issues for a consumer in any business. If staff are not managed well, there may be a lack of motivation to do the job right the first time. If times do become quiet, staffing becomes a sensitive issue and pressure to sell and install with shortcuts can become a temptation. Bad or non-existing business process can also be a major cause of poor customer support. – Do an ABN check – how long have they been in business for and where is their office? – Read reviews on them – Are the reviews mostly good? Do they have reviews from your town or can they provide local references? – Ask to speak with their local installer if there is no evidence of a local sales history. How long have they been working together? 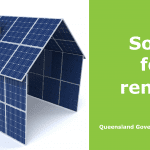 – Are they a Clean Energy Council Approved Retailer? 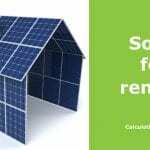 CEC approved installers are a basic requirement for every solar installation – an approved retailer is working to the only ACCC approved consumer code of conduct in Australia. Like any truly good business GI Energy wants happy, long term customers. To achieve this, we’ve spent 7 good years partnering with dedicated local solar electricians. What do you get from GI Energy? Our installers take pride in their work and know their stuff, they are business owners themselves and have worked hard to build a strong business, which is how we found them. We’ve already done the hard yards looking for the best solar electricians in your area. We take care of all of our installation teams with great care, so they take great care with you. GI Energy has developed and refined the following processes to ensure you have a solar system that is installed well, runs well and continues to save you money for years to come.